Easter season is in full effect here at Casa de Sosa & we are gettin’ our celebrate on. Between egg coloring, Peeps s’mores, & gifts in a jar, we’re regular Peter Cottontails. 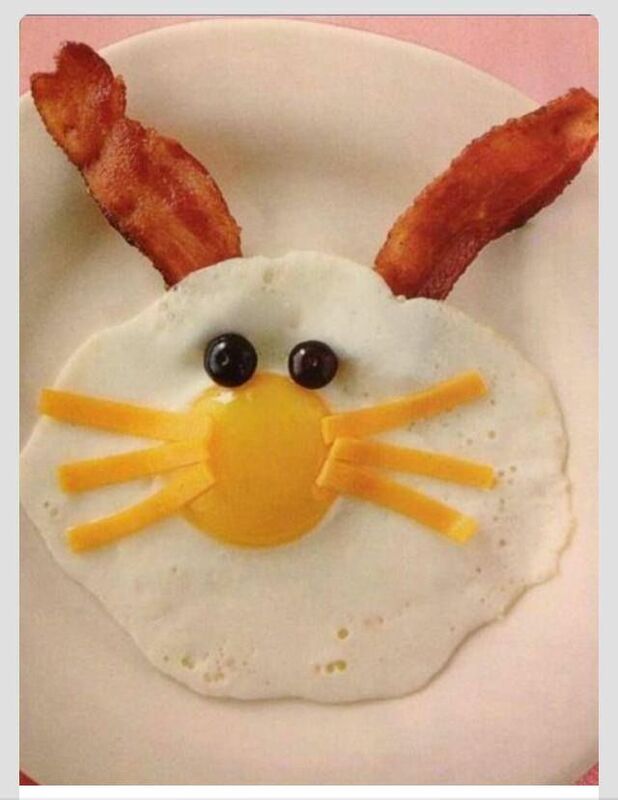 Since there is no end to how we will celebrate a holiday, I thought it would be fun to round up some fun Easter foods that you can make to brighten up your family’s day. These Easy Easter Cookie Pops by Daily Crave are a perfect treat for toddlers….& this toddler Mom even wants some for herself! She Wears Many Hats created these adorable Rice Krispy Chics that look too darling to eat! I’m drooling over this Easter Marshmallow Bark created by Butter with a Side of Bread. I’m a sucker for marshmallow anything & this is a perfectly festive way to get my fix! For a healthier snack, this fun Vegetable Carrot by Savvy Momma is perfect for those Easter munchies. Fabulessly Frugal’s Bunny Bait is so silly & fun. This would be a fun one to create with your kid’s help. As hard as I tried, I could not locate a source for this yummy-looking Easter breakfast plate, but how perfect for Easter morning! This egg-shaped Fruit Pizza by SugarHero! is a work of art! I can’t stop giggling over these Easter Bunny Tail Truffles by Pizzazzerie. Ramblings of a Handbag Designer’s Easter Egg Lunch is a genius way to get your kids & toddlers to eat every single bite of these healthy choices! These Easter Egg Brownie Nests from Babble are simple, but have big impact. These would be a great potluck item to wow your fellow guests. Ending our list of fun Easter treats are my very own Peeps S’mores. These babies are super fun & uh-mazingly delicious! For more Easter inspiration, including gift ideas, crafts, & egg decorating ideas, be sure to follow my Easter board on Pinterest! Visit Our Holly Days’s profile on Pinterest.